Why Are You Writing Content if it Isn’t Legacy Worthy? At this point, you get it: content is integral to your marketing efforts. You probably understand that it builds a foundation on which you can build your business because it positions you as a person with ethos. But to what ends are you creating this content? I mean, really? The theoretical principle is that it helps your business, but what does it do for you as a person? You have to ask yourself this question. Because at one point or another you’re going to hit a wall with content creation and wonder what this is all for. If you don’t know the answer to why you’re creating content, your passion and thoughts and ideas are going to dry up and fade away. The reason behind your content creation should lie much deeper than to simply check off a box on a list of things to market your business well. Your content is an extension of yourself— the written and spoken pieces of yourself that will outlive you. So what do you want to leave behind? It’s harsh but it’s true. There are plenty of voices out there and most of them are just adding noise. We can all agree that to at least be recognized, our voices need to be heard. So you have to create content for the sake of being heard, for being seen, and for adding something of value to this world. 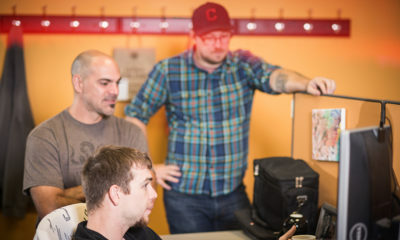 Documentation is not a checkbox, it’s a means to creating something bigger than yourself. That being said, if that “something bigger than yourself” isn’t seen or heard, it cannot actually be bigger than yourself. The best way to get your voice out there and heard is through video. Period. This is why video is such an important part of The Modern Marketer strategy, and why we’re integrating it more and more. It’s integral to sharing our culture and story. You may read this and think this whole video marketing thing only applies to people who are extroverted and outgoing. That’s just not true. I know there is a personality inside of everybody. You don’t have to be an off-the-wall, energetic person just to justify doing video. 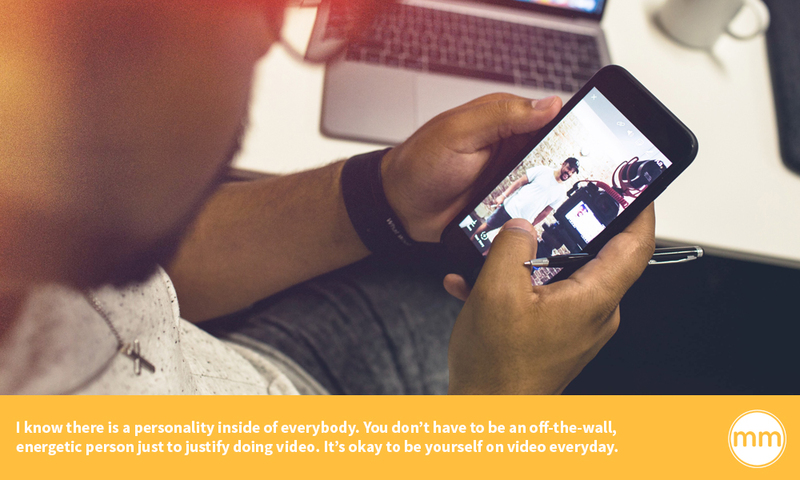 It’s okay to be yourself on video everyday. This is why, when I’m on live video, I’ll show off my team when they’re not expecting it. It might make them feel uncomfortable or even awkward, but because we create a culture of acceptance, that feeling dissipates. On our team, it’s okay to do you, it just has to be documented. Every single platform out there is tailoring to video. So if you’re going to be a modern marketer, then you have to be on the cusp of what’s actually happening. Communication is never going away and it is always evolving. This means your brand will forever have to learn how to communicate effectively. And in this modern day, that means being on video. So if video is not already a part of your strategy, you’re falling behind. Add video to your strategy this week! All that being said about video, if you’re excited about doing it now, you have to make sure that you stay consistent and don’t fall off. Consistency is a marketing strategy. Just doing it once or twice isn’t going to work. Don’t be flakey. Back in the day I tried doing user generated video content. 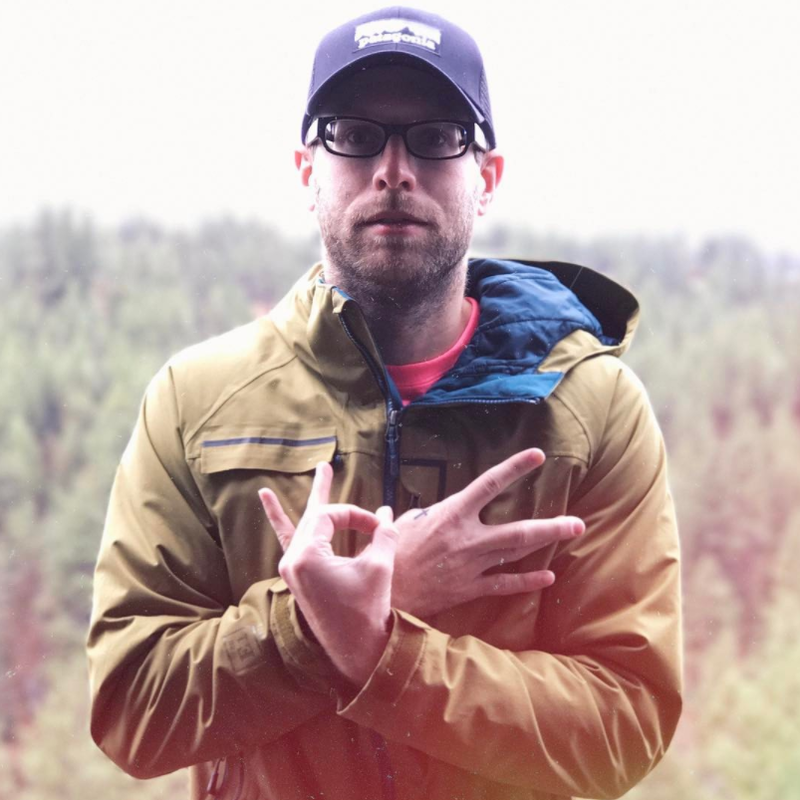 People in The Modern Marketer community submitted videos and I posted them. But I knew it was something I couldn’t be consistent in. It was just a one-off thing. So here’s the thing: it’s not just about staying consistent. 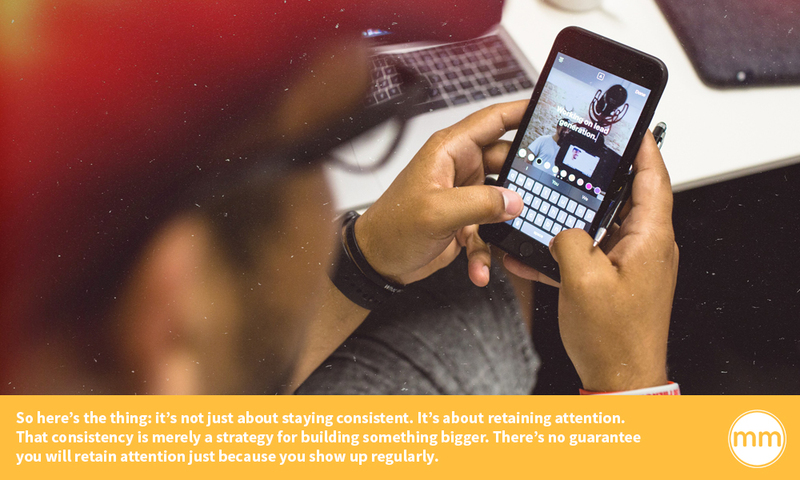 It’s about retaining attention. Sure, your consistent videos may draw new attention, but are they retaining that attention? That consistency is merely a strategy for building something bigger. There’s no guarantee you will retain attention just because you show up regularly. You have to create that reason for people to show up. You have to strategize how you’ll retain attention. Don’t be that brand that someone used to know (remember that song, Somebody That I Used to Know?). I say this all the time: give people a reason to show up beyond just the transaction. But to go a step beyond that, give people a reason to show up beyond your business. If I were to look at what’s going on inside your content editorial right now, I’d probably say that it’s really cool but where are the people that show up multiple times a week? And if there are people who do show up multiple times a week, how many more can you get to do the same? 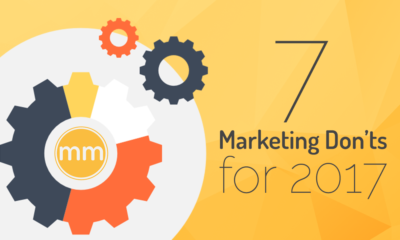 The Modern Marketer has at least 1,000 people that show up daily, weekly, or monthly. 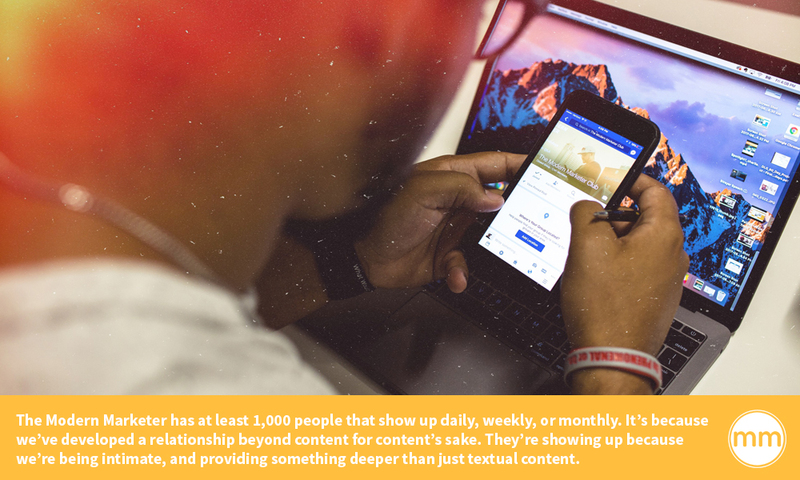 It’s because we’ve developed a relationship beyond content for content’s sake. 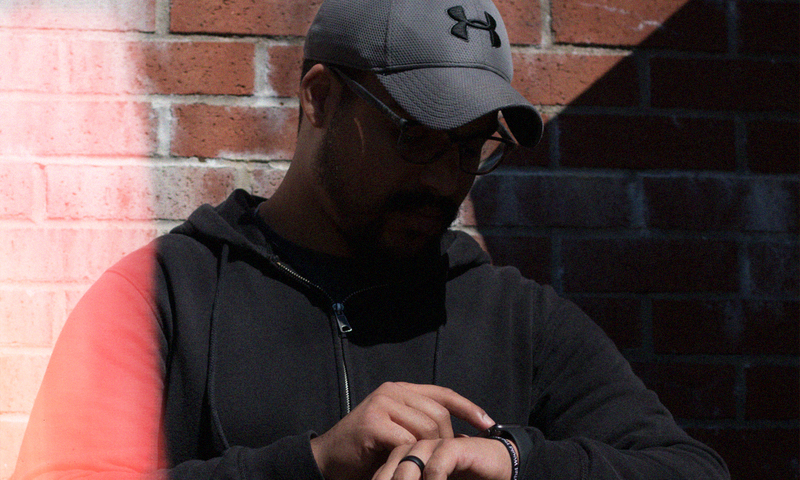 They’re showing up because we’re being intimate, and providing something deeper than just textual content. 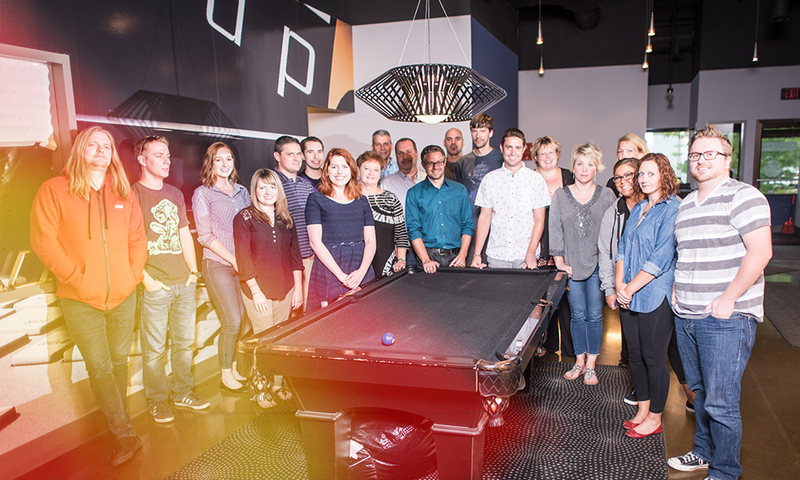 I really like the people who surround us in The Modern Marketer community. I have authentic friendships with many of these people, and we share a mutual respect for each other. These relationships truly go beyond the content. Your strategy for retaining attention is simple: develop authentic relationships with people using your content. Like I said in the beginning of this article, if you want to be an ever-flowing source for content, you have to know why you’re creating it in the first place. So here’s the big question: is your content worthy of a legacy? If you were to die today, what would you have left behind? Think about all the people who’ve passed away and how we remember them— Albert Einstein for his work in science, Pablo Picasso for his art, Steve Jobs for his revolutionary technology, Jesus Christ for his revolutionary Christian principles. Compare that to the content that you’re putting out. Are your Instagram graphics with cute quotes really the way you want to be remembered? Is your Facebook post of your creative team having lunch together really the way you want to be remembered? My guess is no, probably not. So what are you really doing? If you’re just here to own a business, that’s all you’ll be remembered as. Document what should be remembered. Are you inspired to create your legacy? Maybe so. Will you be just as inspired a week from now? A month? A year? Maybe not. I see people get inspired and start things but because they don’t understand their legacy, they lose interest a short time later. I want to stop seeing people fall off. When you get all wrapped up in your to do list and your emotions, you exhaust yourself. You lose sight of what really matters. Your to do list today, how you’re feeling today— none of that stuff actually matters if you died tomorrow. So ask yourself: why are you creating content? Are you doing it because Content Marketing Institute told you to? Or are you creating it because you truly want to to leave something behind. It’s not something you’re going to figure out after one day. It’s a continual process you work on everyday. We at The Modern Marketer are still figuring it out too. 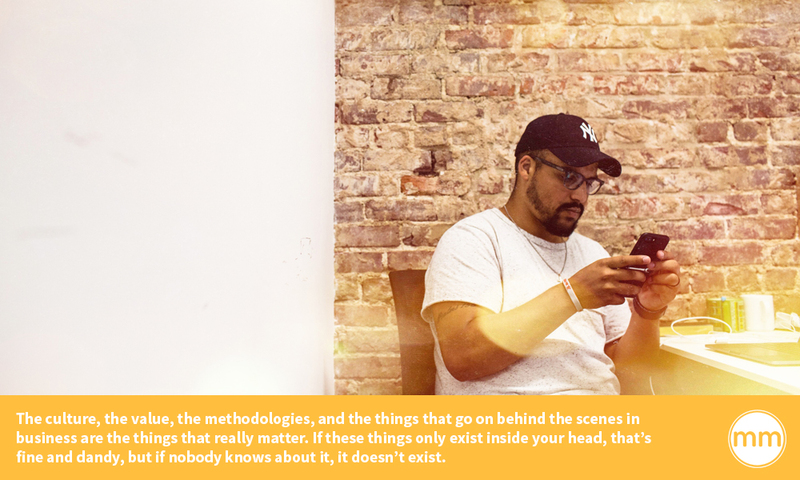 As you figure out what you’re leaving behind, continue to document. Don’t just document the good stuff, document the bad stuff too. Legacies are formed from overcoming. So keep on documenting for the sake of something greater, and your legacy will come. Related Topics:content marketingcreating a legacyentrepreneurshipfeaturedlegacysmall business strategywhy create content? Disclaimer: This article is not edited, pre-prepared, or embellished. This series of posts and articles is called Marketing debates and are meant to be raw, off the cuff conversations about marketing topics. I post questions as polls on social media and the audience answers at scale. Of course, I am assuming that most people would answer correctly based on the context of their life and business. I am a firm believe that benchmark reports and most surveys and data are somewhat skewed. What I love about this approach to gathering data around opinions, however, is that it is as close to real time as possible. Most companies have to spend months, and some years, gathering answers, data, segmenting, analyzing etc., before they release reports. This is asked, posted, answered and documented within 24 hours AND it’s left as a permanent post that people can continue to add to as they see fit. ALL of that opening jargon to say, we are going to do this weekly so we as a community have a pulse on what’s in and what’s not. 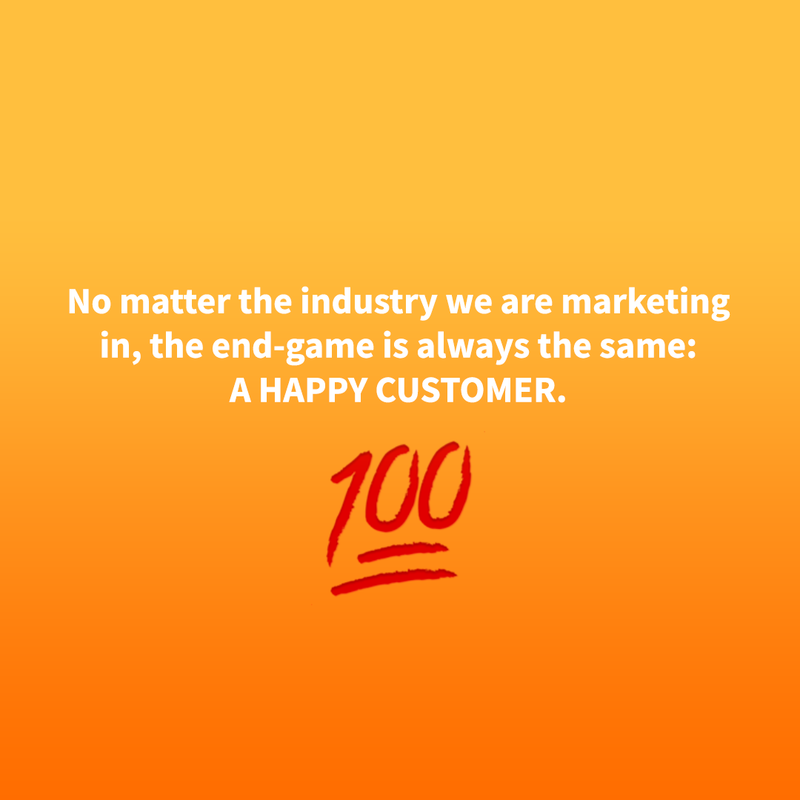 When you see a marketing debate article (or the original questions on social media) you can trust that this community answers questions honestly and with the overall goal in mind that human 1-on-1 connection is how you grow a brand in a modern world. We, at The Modern Marketer, will provide our $.02 on each topic to further the conversations. 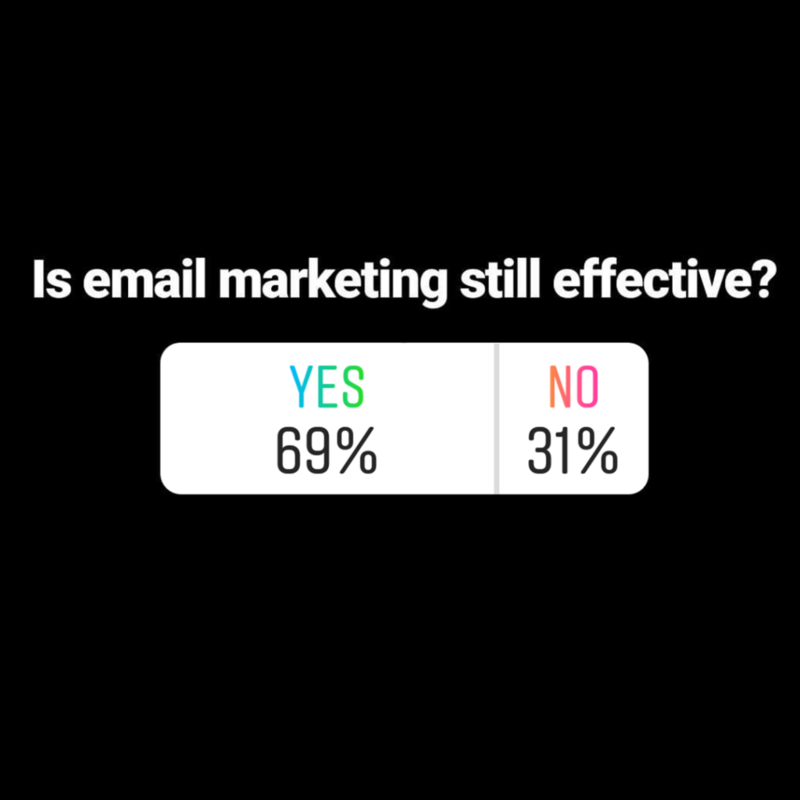 Is Email Marketing still effective? Especially if you do it right. 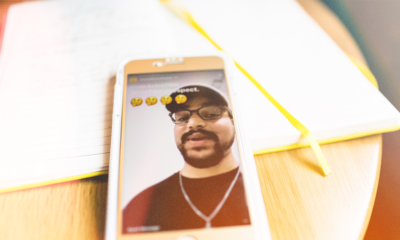 Yes, of course it’s becoming more and more common that users primarily use social messaging and text messaging to communicate not only with friends and family, but with brands and organizations as well. There are, however, plenty of aspects of marketing where email marketing is still more than relevant. We believe that if you’re doing email marketing in 2018 and beyond, it better be automation. Have context with your messaging—putting the right messages in front of the right people at the right time. This allows you to avoid the dread “EMAIL BLAAASSSST” which essentially tells your audience they aren’t important enough to know what personally makes them, well…them. Begin scoring leads—you need to segment your leads based on how they interact with your brand and ultimately determine who is a sales qualified lead and who is a marketing qualified lead. Save you time—let’s be real, if you don’t know what marketing automation is, that’s step one. And a big step at that. If you do know what it is, you understand that to do it right, it requires a TON of upfront work—though it will save you thousands of hours and endless amounts of resources in the long run. The reality is that every business has steps, processes and communication touch points that need to happen when a customer purchases a product or service from them. Most of the time, when lacking automation, this is done manually. Random phone calls, emails, scratch notes, customer profiles, or a combination of several software solutions that don’t talk to each other. Having automation in place allows you to automate those repetitive process so you can nurture and segment leads and customers that come into your brand. Our official vote: Yes, it’s still effective. 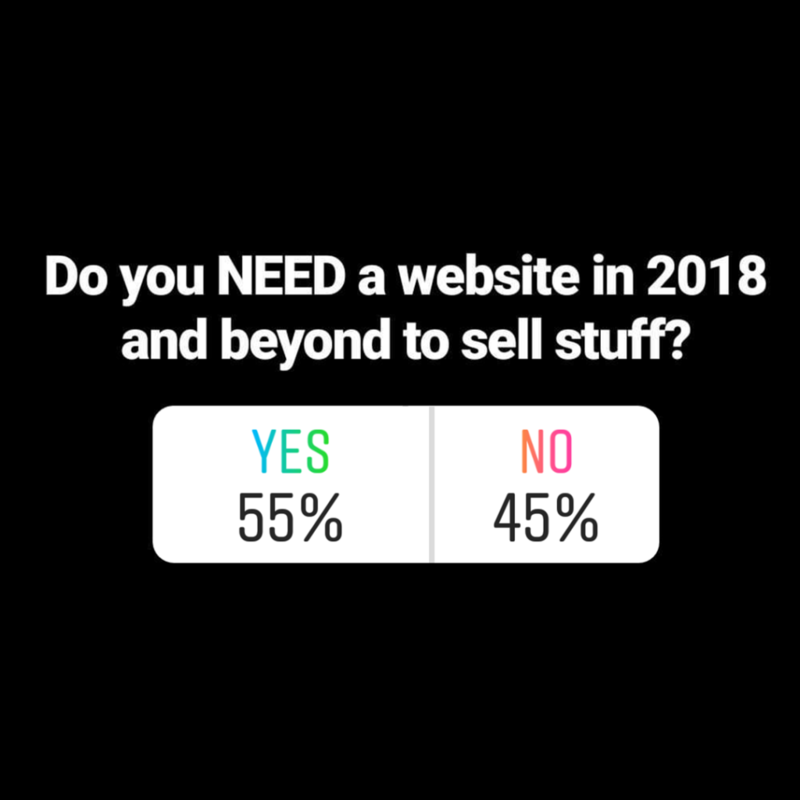 Do you need a website in 2018 and beyond to sell stuff? It really depends on the variables. The idea was to get people thinking about how accessible it is to come up with a brand, get content online, and sell stuff without a website. This was BY FAR the most debated and answered question. Everyone had a rebuttal, on both sides. …to sell stuff, that is. Sure, if you want to show that you have a presence and you want to build domain authority and tap into organic traffic because you’re at that stage in your business, then you do need a website. I.e. Many of my startup clients, historically, that were $1m and up in revenue definitely needed website. They didn’t need them to make the first million though. My biggest frustration with those that vote yes, is that most of them are romantic about websites and SEO. I think the need for a website is very subjective and often prioritized for the wrong reasons. I look at it from the standpoint of human behavior. And what’s interesting is more and more platforms like Instagram and FB are allowing direct selling from the site…for all things. So, whether your goal is to get someone in contact with you (on the phone), fill out a form, learn more about your business, download something, etc (traditinally goals of your website) you can actually now do all of those things on social media. It my not feel as natural to you (the business owner or executive) but it is the most natural process for most users. Where I think websites are more traditionally needed is with larger priced items or older demographics. Larger priced items being things like appliances, equipment, technology, transportation, etc., and older demographics tailoring to things like healthcare, and so on. But if you add those variables up, that hardly makes up the majority of people online. In fact, that’s a very small percentage of people online considering the maturing generations joining the workforce and having more and more purchasing power. Our official vote: No, you don’t need one. However, we are writing a HUGE follow up piece on this to make sure we are very clear on this message. Is SEO dying in a social evolving world? How we think about SEO is dying. Search engine optimization is just that—the optimizing of content within a search engine so it’s more discoverable to the right people. Social platforms ARE mini search engines, firstly. Secondly, with the advancement of voice activated search queries, SEO is simply evolving. No longer are we attempting to land the top spot on the SERPs to drive massive traffic to a site. Now we are simply aiming to distribute a high level of quality, original content within the new environments of social media and marketplaces. That way when people interact on social media or purchase things in a marketplace, our brands, organizations, products and services are a part of the buyer journey. Humans spend most of their time in the awareness and consideration stages of the journey, yet businesses spend most of their time optimization for the decision stage. What are we left with? And that’s not what SEO was intended for. 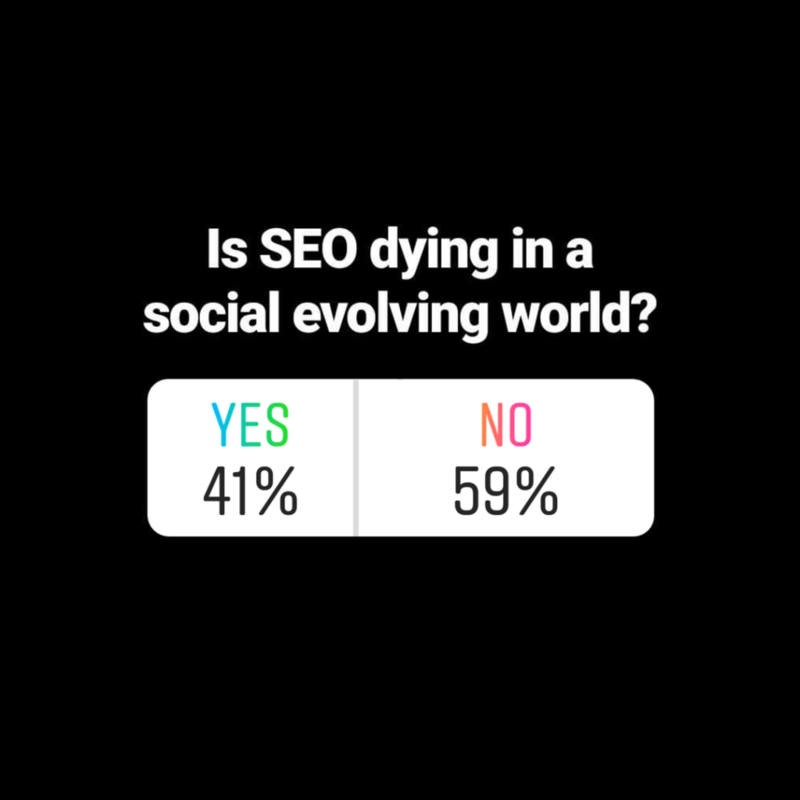 Our official vote: No, SEO isn’t dead, it’s evolving. 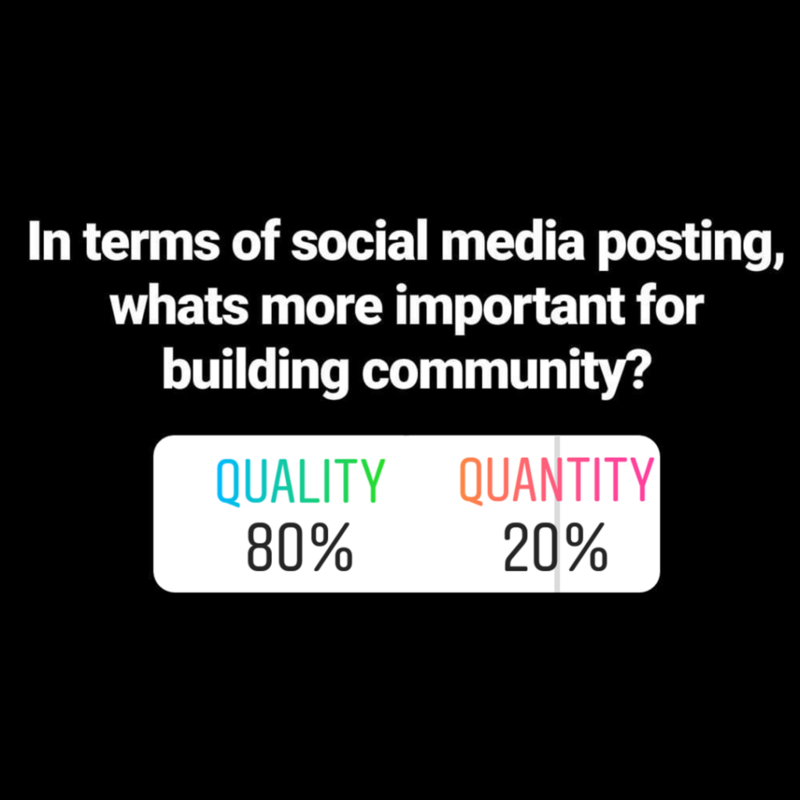 In terms of social media posting, what’s more important for building community? There is clearly a misunderstanding here. 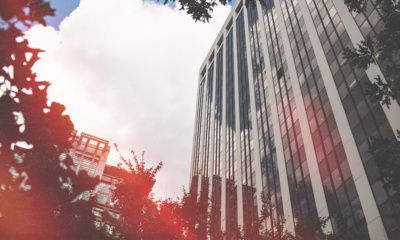 Building communities is something that The Modern Marketer’s foundation derives from. It’s how I built my first business, my hundreds of client’s businesses, and the current endeavor of The Modern Marketer. Quality should be a goal, incrementally. But, without a shadow of a doubt, QUANTITY is the game. They use quality as an excuse as to why they aren’t on social every day, why they aren’t creating content every day and why their brand(s) have little to no awareness. People create for quality instead of impact. If they DO decide to create content, they try to make these immaculate pieces and then forget one MAJOR part. Distribution. If no one sees it, it doesn’t exist. Don’t mistake quantity for the need to MAKE more. It’s the need to DISTRIBUTE what you have made, more. That’s why we preach the concept of the Power 120. Creating a foundation of scrappy content that you distribute to your audience at scale. More at bats, more wins, more conversations, more leads, customers, sales and advocates. The trick is that after you master quantity, you slowly increase the quality over time. All of your favorite accounts and brands online are quantity of quality. Comedians, meme accounts, commentary, personalities, creatives, etc. Our official vote: QUANTITY. Post more, create more, distribute more. 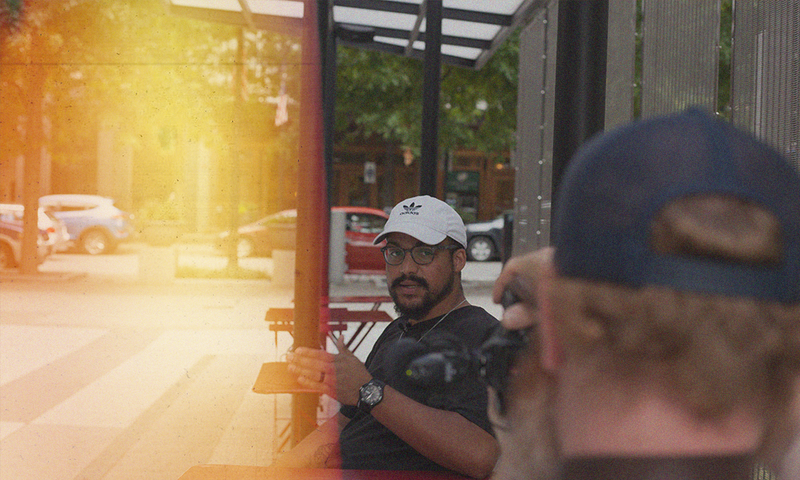 Put in your 10,000 hours of creating and storytelling and eventually the quality will catch up. Newsjacking is the process of following the topics and trends that are happening in industries relative to your business so that you can tap into audiences that are already interested in something that’s happening now. We all want to know what people are typing into that search bar on Google so that we can connect them first. That’s what SEO and SEM is all about. But what we don’t talk about as much are the topics and trends that are happening so fast that Google, SEMrush, BuzzSumo, Alexa, or whatever keyword tracking tool you may be using isn’t tracking on it. That’s where newsjacking comes into play. 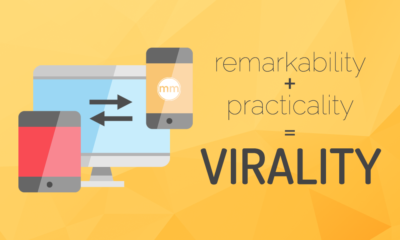 Newsjacking is your ticket to growth hacking! If you’re paying attention to what’s happening on the news—or trending on Google, Twitter and Facebook—there’s an opportunity here to grab attention that a keyword tracker won’t be quick enough to show you. 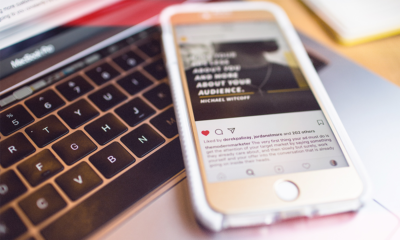 If your brand has a relevant stance or positioning on a specific topic or trend that’s happening right now and you can provide legit content around that topic, then you can tap into new audiences. Audiences that would never find you if you hadn’t showed up in their search query about that topic or trend. Newsjacking, or trendjacking as some call it, is a lot like influencer marketing. The only difference is there’s not a third party involved. The topic itself is the influencer. The topic has that attention. What you’re really doing is attention jacking. But here’s the thing about newsjacking: It can work really great for bringing traffic to your business, but it can also go horribly wrong if you’re not careful. There’s a lot of factors at play when you’re hopping on a trend, so you have to be wary of your timing, your message, and your context. There’s a fine line you have to walk for newsjacking to work for you. I’m going to break this down for you with some do’s and don’t’s of newsjacking so you can understand where that line is. You have to keep in mind that trending topics, particularly ones in the news cycle, are always developing stories. So when a story first breaks, that’s only a part of it. 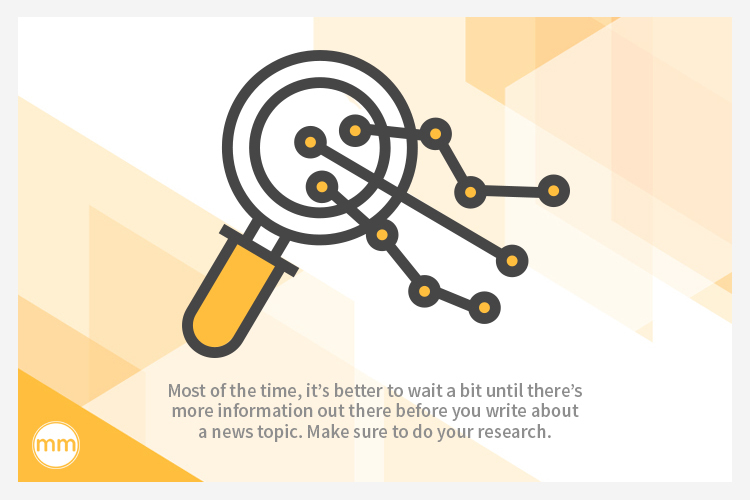 Most of the time, it’s better to wait a bit until there’s more information out there before you write about a news topic. Otherwise, if you’re too quick to publish, you could miss out on some critical information that drops later—information that could have been even more useful for your content had you known it before publishing. Avoid “more later…as it develops” type of talk. You really want to get as much information as possible before writing. In this day and age where everyone’s wary of fake news, it’s important to get your facts straight and to be as accurate as possible. Or else you risk losing credibility with your audience. So spend some time browsing the news sites, the comments sections, and talk to other people about the topic. Sometimes people in your immediate circles have some insight on the topic you may not have thought about before. If a topic isn’t relative to your industry and you write about it anyway, it’s really not going to make sense. Maybe you’re passionate about that topic and you have thoughts about it, but it’s not going to do you any favors within the context of your business. Sorry, but your audience doesn’t care about news topics unless it affects them. On the other side of the coin, you always have to keep in mind who you’re writing for (or speaking to, if it’s on video or audio). A topic you’re covering could be relevant to your industry, but if it’s not filtered into a context that makes sense for who you’re trying to sell to, it doesn’t make sense for your business. Is this relevant to my industry? Could my buyer persona connect to this topic? Can I bridge this topic directly to value that my business can provide? Here’s the thing about trending topics: a lot of people have something to say about them. 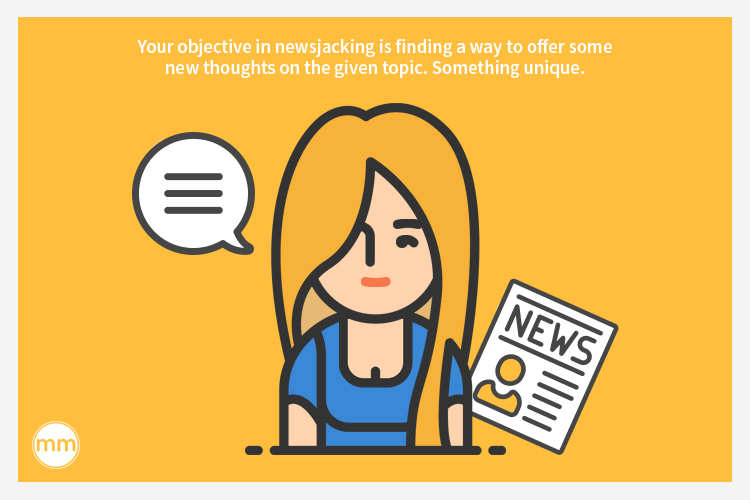 Your objective in newsjacking is finding a way to offer some new thoughts on the given topic. Something unique. It can be difficult, particularly if there are already a flood of thoughts out there on the matter. But it comes easiest if a topic comes up that you find yourself passionate about. Chances are if you’re passionate about it, you have some value to offer on that topic. 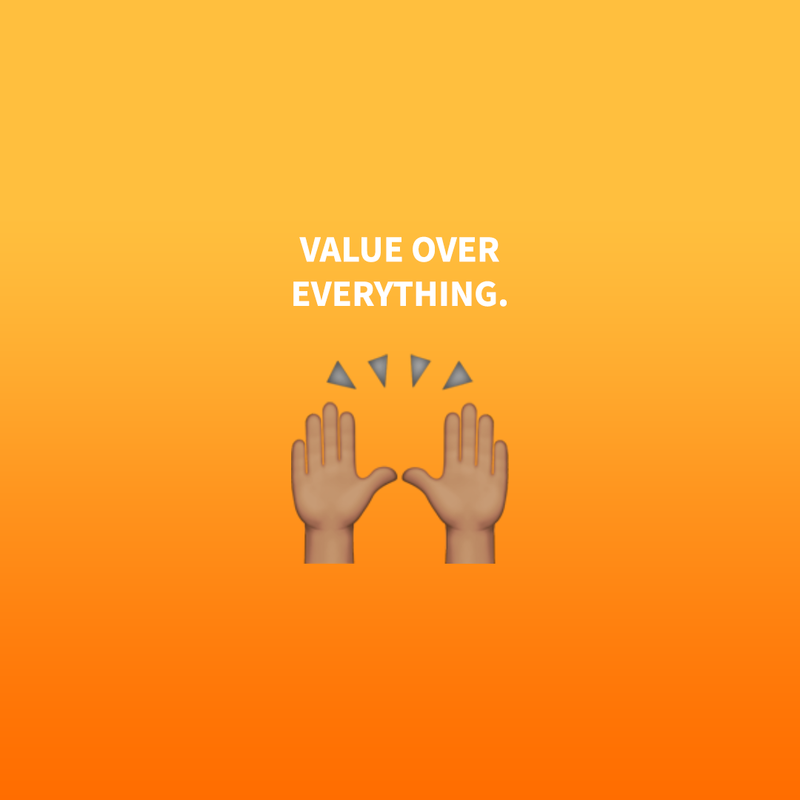 You know we’re all about value over everything. With newsjacking, it’s no different. When you’re writing or speaking about a topic, your goal first and foremost needs to be to provide some sort of value. Look, consistency in producing content is important. And newsjacking may look like a shining opportunity to add to your growing archive of content, but if you’re just doing it to check off a box you’re not going to get the results you want. Just like with any content you produce, it has to provide value. If your newsjacking just adds to the noise out there, you’re wasting your time and effort. Plenty of people produce content to get attention. But nobody will be interested in your content if it’s lacking of substance. Give people a reason to read or watch or listen to your newsjacked content. Ask yourself: Why would people want to read this as opposed to any other thoughts on this trend? What does it offer that other content doesn’t? Some people are reluctant when it comes to newsjacking, particularly if there’s a political element to the given topic. But a lot of times, controversial topics are the ones that really grab people’s attention. And you want that attention. You want to engage people and get them going. You want that discussion. And sometimes, a little controversy can be good. As long as you can engage people in a relevant way that makes sense for your brand, that’s good attention. Yes, engagement and discussion and attention are all good things. But if you’re not careful about what you’re writing or saying, you can end up dividing your audience and losing attention. With political topics especially, you have to be aware that people in your audience have hard set opinions. And if you challenge these opinions too much, your newsjacking efforts will backfire. Be careful when you’re taking a stance on a certain topic. The more context you provide, the more viewpoints you can write or speak about in relation to the topic, the better your chance of not dividing people. Or, don’t bring in any viewpoints and just use the topic as a jumping off point to talk about something more relevant to your brand. So represent as many perspectives as possible, or represent none of them. Don’t speak to divide, speak to unite around your brand value. We talk a lot about evergreen content, and producing value that is useful months or even years into the future—not just right now. That can be difficult with newsjacked content since it’s specifically about a topic or trend that’s happening right now. But if you can take that topic and create value around it that outlasts the relevancy of that topic, that content will still be useful after everyone’s forgot about the topic. 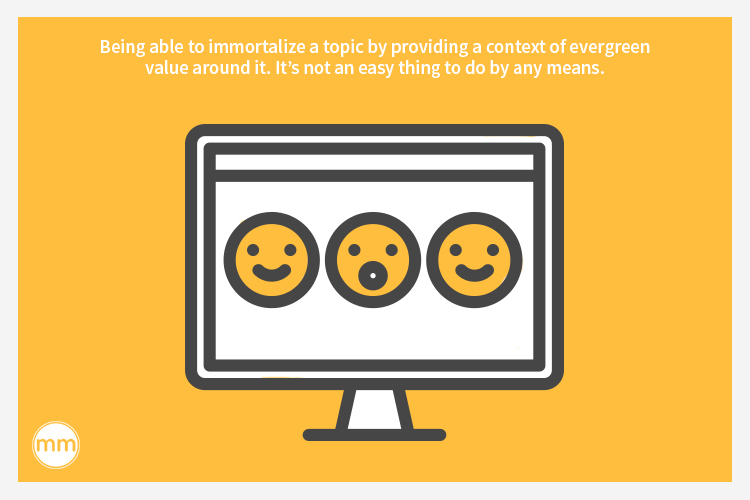 That’s a powerful thing—being able to immortalize a topic by providing a context of evergreen value around it. It’s not an easy thing to do by any means. You can still provide value with newsjacked content without making it evergreen, but it’s far more valuable if you do. Trends can be here today and gone tomorrow. If you’re sitting on some content that you wrote on a particular trending topic and you’re waiting to see if any new information will come out about it, you could lose your window of relevancy. You don’t want to publish too soon and risk your credibility, but you also don’t want to publish too late and miss the relevancy of the trend altogether. That’s the point of newsjacking after all— to ride a brief but strong wave of relevancy. So how do you know when the time is right to publish? When you feel like the trending topic has developed and you have enough information to provide some real contextual value, it’s time to publish. The value comes from your brand, not from the topic. So publish it once you can provide real value from your brand! You want to get as many eyes on your content as possible while the newsjacked topic is still relevant. So like with any content, you have to optimize it for all your platforms. If you write an article, you can take a quote from it and put it on top of an image for an Instagram post. You can also tweet that quote. You can make a video about that article and just talk it out. Or if you do a video first, take notes from your video and turn it into an article. 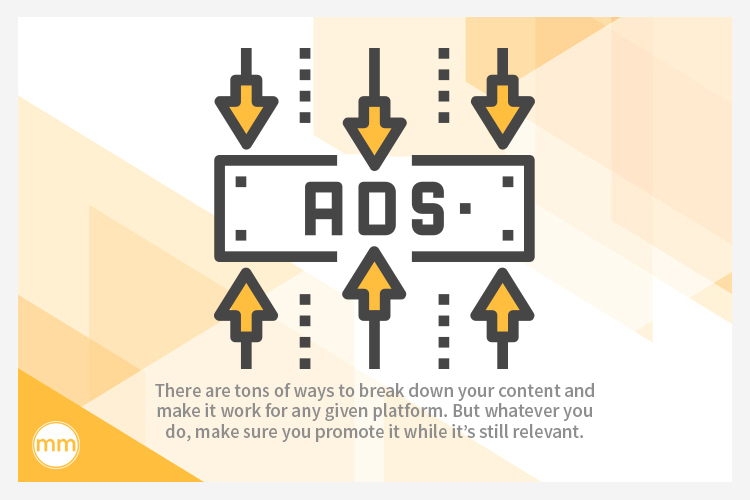 There are tons of ways to break down your content and make it work for any given platform. But whatever you do, make sure you promote it while it’s still relevant. This is a good opportunity to justify some Facebook ad dollars! 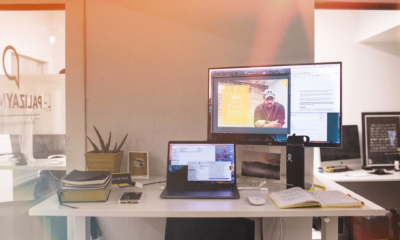 You may think after you’ve published your content, atomized it, and promoted it, that you’ve done all you can and it’s time to move onto the next piece of content. Nope. It’s not over. Just because you’ve put your thoughts out there on the topic or trend doesn’t mean the discussion is over. You have to keep monitoring the discussions and engage with others on the topic. You have made yourself a part of the conversation on that topic, now you need to engage in the conversation until it dies out to get the most out of that window of relevancy. Make the most out of your content. Engage with others about it. Newsjacking can be tricky. You have to be careful, and there’s not always a clear right answer to the what, the how, and the when of newsjacking. It can be hard to decide what trends or topics are relevant to your brand, how you’ll provide value in the context of a given trend or topic, and when to publish that content. But the good news is that the who, the where, and the why are always clear with newsjacking. Who you’re writing for is always your buyer persona. Where you’re publishing your content is all of your channels (in the format that makes the most sense for that platform). And why you’re newsjacking should always be to provide some unique value or insight from your brand voice. One thing is for sure: newsjacking takes practice. The more comfortable you get with it, the better you will understand how to successfully newsjack. What is a brand advocate? A brand advocate is someone who will work for your brand by sharing positive sentiments with their communities about your brand. Brand advocates are the people that scale your business. The truth is that you can’t scale your business off of one sale. You need sale 2, 3, 4, 5 and beyond. You need depth to scale a business— value that goes far and beyond your product or service. 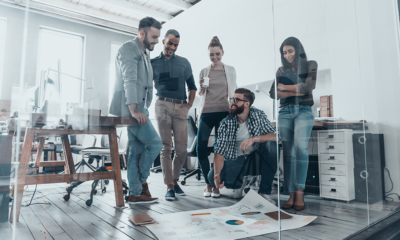 Having someone who spreads the word and culture of your business is far more valuable to scaling your business than a sale because that credibility, that referral, speaks louder and stronger than any company-led business promotional efforts do. So how do you get people who can spread the word and culture of your business? If you’ve been a part of this community for more than a week lol, you’ve likely heard about the ACE Method. Most of the time we just talk about creating conversions. We stop at the third section of the funnel. But you can’t scale a business off of just one sale. So you have your leads, you have your customer base, you have your loyal customer base, and then you have your brand advocates. 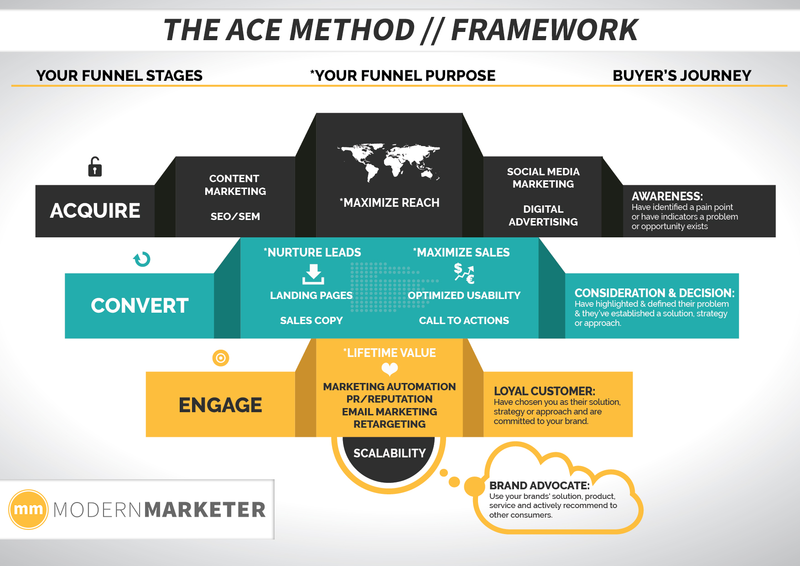 How do you get people to the bottom of that funnel? 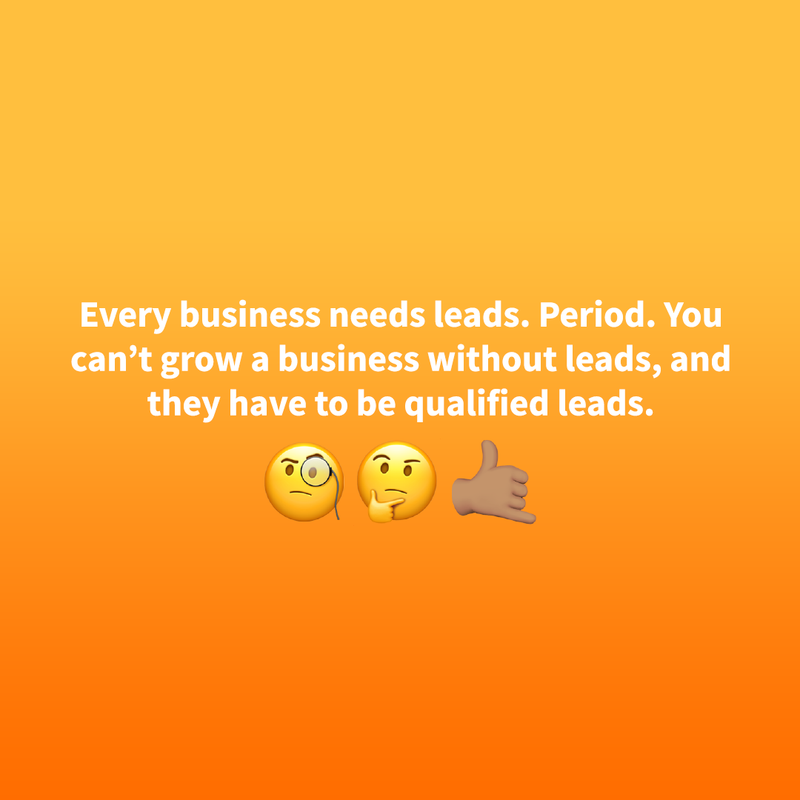 Who are your qualified leads? Who are the people that you’re going to convert into customers? 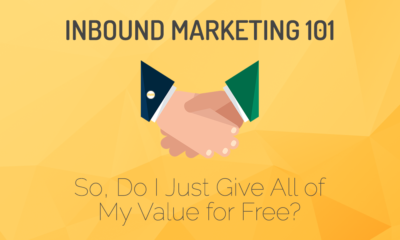 Out of those customers, who can I provide more value to and scale to create loyal customers? Then out of those loyal customers, what kind of ecosystem, code, environment or relationship can I create to make brand advocates? But don’t get it twisted. Not everyone in your sales funnel can be brand advocates. Not everyone can be loyal for free. 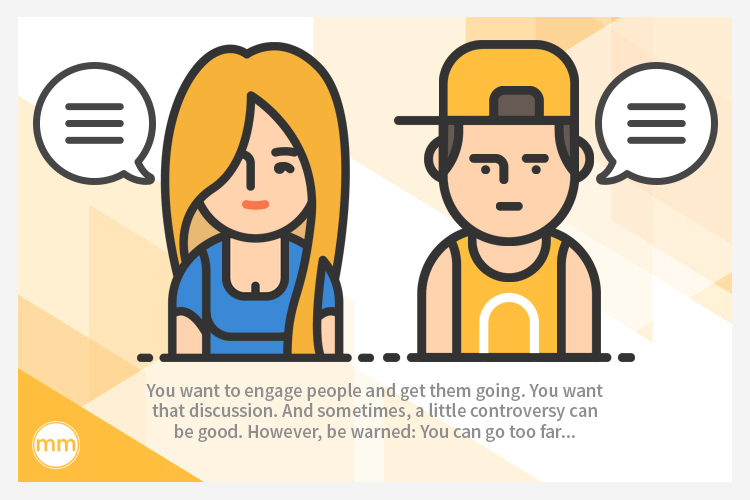 So what is the difference between a brand advocate and a regular customer? What’s the bottom line? The bottom line is that customers get something they expect. They pay for that “something” and they get it. It’s just a transaction. But with brand advocates, it’s not a transaction— it’s a journey. Brand advocates are the people who can journey with you and expand your voice bigger than yourself. If you can get other people in different walks of life to explain the same culture and the same message, the brand message becomes even stronger. You can make a sale with a customer but you can’t scale your business with that customer like you can with a brand advocate. But what does it take to bring someone down your sales funnel from the loyal customer base to the brand advocate? Do you need to push your product or service extra hard with these people to get them to want to advocate? No, no, no. You cannot push a product or service and expect to get brand advocates. The mistake people all too often make in trying to create brand advocates is that they think they have to convince these people to be die-hard fans of the product or service you’re selling. And that’s just not the case. Even if someone is advocating for what you’re selling, it’s not really the product or service that they’re advocating for. What brand advocates are actually buying into with your brand is something much bigger than the product or service, than you, and even bigger than the business itself. It’s all about that driving force behind every brand. I learned this from my own business mentor back in Ohio with this example: Smucker’s went from just selling jams to selling nearly every product in your kitchen. Not from all the profits they made from selling jams. 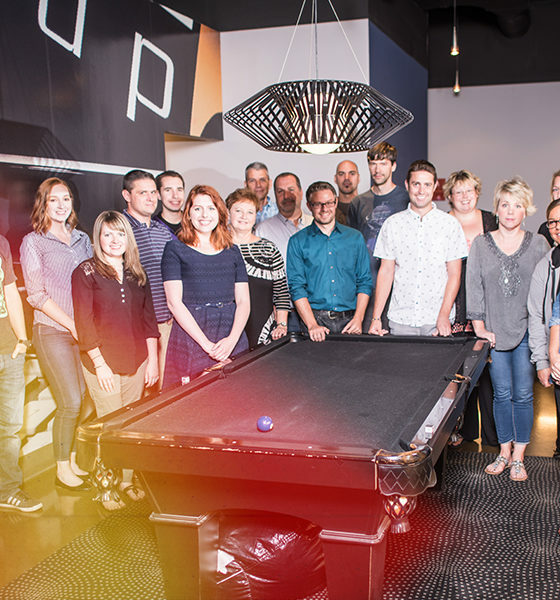 It’s because for so many years they have put an emphasis on their culture— a culture based on growth, clear communication and collaboration, and doing the right thing. Focusing on the core driver behind their products. These are values that people can rally behind. Jams are just the product, but their culture is their legacy. 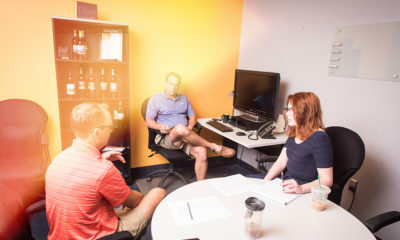 That’s how Smucker’s has come to be recognized in FORTUNE Magazine’s annual listing of “100 Best Companies to Work for in the United States” for many years, even making #1 in 2004. Smucker’s prioritizes its values over everything else to create brand advocates. Smucker’s puts value over everything. If you ask me what I sell and I say: “I’m Derek Palizay and I sell marketing services,” I’m telling you the wrong thing. You have to think about what’s behind the product or service you’re selling. Is it selling people time? Is it value based like Smucker’s? What’s the bigger picture? What is the driving force behind your brand? Whatever it is, it affects your messaging, your brand voice, and your image. I can’t tell you what your driving force is, I can just tell you if it exists. When you look at a brand that’s investing beyond just the immediate ROI needs of their company, you can see it. You know culture when you see it. Brand advocates can’t just be anybody. The relationships you form with your brand advocates have to go deeper than anyone else who may come into your funnel. To create a true brand advocate, your brand have to be able to create culture and value that’s so inspiring to that person that it helps them hit the next level in their own journey. I’ve said it already, but I’m going to say it again: Brand advocates do not care about your product or service. They care about your culture, your loyalty, your character, your higher purpose, your integrity. They care about how you inspire them, how your impact on them is so deep that they can’t resist not being a part of your brand. Once you know your culture, your brand voice, and what you can bring to the table, you have to supplement it. That also means making sure you have some kind of vetting process that you bring into your ecosystem, because only the right people, the people who are aligned with your culture and values, are going to help you grow. You don’t need to hire skill, you need to hire loyalty and you can train skill. If you invest into storytelling and documenting the journey, you get the inverse effect of people flocking to you— and the right people. When you’re investing in content and value, your brand grows as a whole. Going to Upwork to find the type of person you want for that just isn’t going to work. That’s not brand advocacy, that’s outsourcing. I’m speaking from tried and true experience when I say that having just five brand advocates trumps 300 people that follow you publicly. Having 10 brand advocates trumps 10,000 people that you think will grow your bottom line business. The power that has come out of The Modern Marketer Network is truly amazing. These are people I will roll with for the duration of my career. These are people I will speak on stage with, co-brand with, and share my book and knowledge with. They challenge me, and I challenge them. This Network is my incubator for my brand advocates. In order for you to nurture your own brand advocates, you have to find a tactical way to incubate them. Whether that’s a private community, private email list, or private mastermind sessions, you have to actually deliver on that value, that family vibe, that cohesiveness. You have to come up with some code. 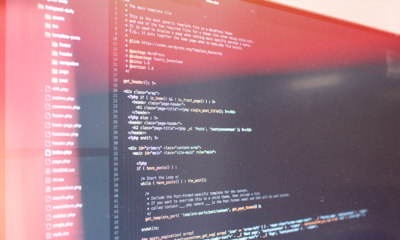 We’ve created this code inside of our Network that allows our culture to be easily replicated across upbringings, backgrounds, levels of businesses, and experience levels. People are rolling with a story that is bigger than themselves. Yet one of the biggest challenges people who follow The Modern Marketer face is that they just can’t get people to care. Here’s what you need to do: go find three people in the next 30 days who can help you grow your business. Then I encourage you, plead with you, to slow down your roll in marketing and incubate some brand advocates. Brand advocacy is not about auxiliary salespeople that are happy enough about your product or service that they will talk it up for free. It’s about forming deeper connections with people based on something bigger than your product or service. It’s about creating a driving force that brings people together behind a common purpose. Brand advocates are the ones who want to be on the front lines with you promoting your culture and values. And if you nurture these people, if you genuinely add inspiring value to their lives that helps them in some significant way on their own journey, you will have a lifetime of scalability.